Stop! 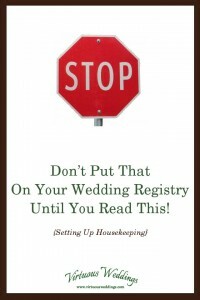 Don’t Put That On Your Wedding Registry Until You Read This! Eek! Do you know what you’re doing? Maybe. Maybe not. Run through this list of questions to make sure your registry is serving you well. 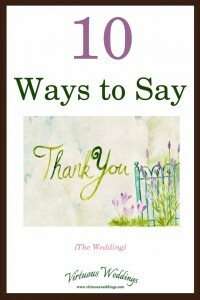 After the wedding, there will be more “thank-you’s” than just that huge stack of thank-you notes to write to gift givers. Your bridesmaids, groomsmen, parents, and others deserve a special thank you too. They’ve all pitched in or been there for you in some way and you want them to know you appreciate them. 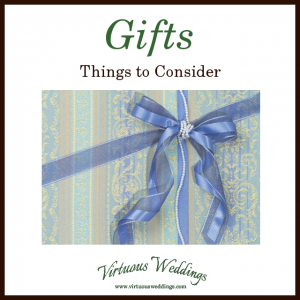 You might think you don’t need to think about gifts when planning your wedding (after all, you’re not buying the gifts, right?). But you do! Here’s what to think about. 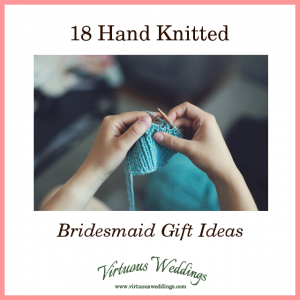 Are you looking for bridesmaid gift ideas? Do all your girls aspire to be Proverbs 31 women? 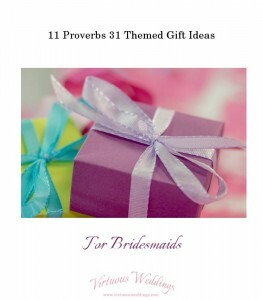 Why not choose a Proverbs 31 themed gift for each one?